Business IT products to help improve the quality, efficiency, and success of your daily operations. At INTELITECHS, our team of industry professionals are available anywhere, any time for all of your IT solution needs. It is essential to have dependable hardware to carry out important business tasks. 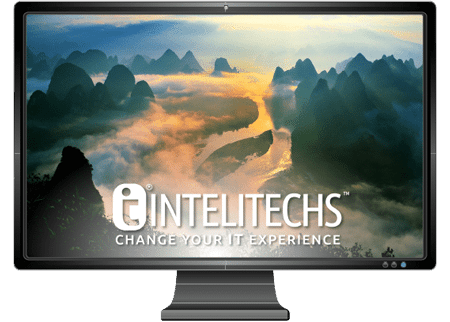 INTELITECHS has hardware and software solutions that will meet your business needs! We’ll provide you with a hassle-free way to ensure that your data is backed up and protected, so your business can continue operating without worry. Install Office 365 on up to 5 devices at a low monthly rate! No hidden fees and no hassle. Harness the power of the cloud to improve your business. We’ll help you move to a virtual environment that’ll allow your business to scale. If you have any questions about any of our business IT products, don’t hesitate to call us or fill out the form below! You will be connected with an INTELITECHS support member as quickly as possible.